Technology continues to develop at an astonishing pace in all areas of life. From driverless cars to cryptocurrency to amazing apps, the world seems more like a sci-fi movie every year. Our houses are no exception, and consumers are taking steps to create smart homes that automatically turn on lights, play music, and even clean at the push of a button or voice command. Many individual components can be part of a smart home. If you have a smart speaker, such as Amazon Echo, you’re already halfway there. If your smart home were a body, smart speakers from Amazon or Google, for example, would be its brain. 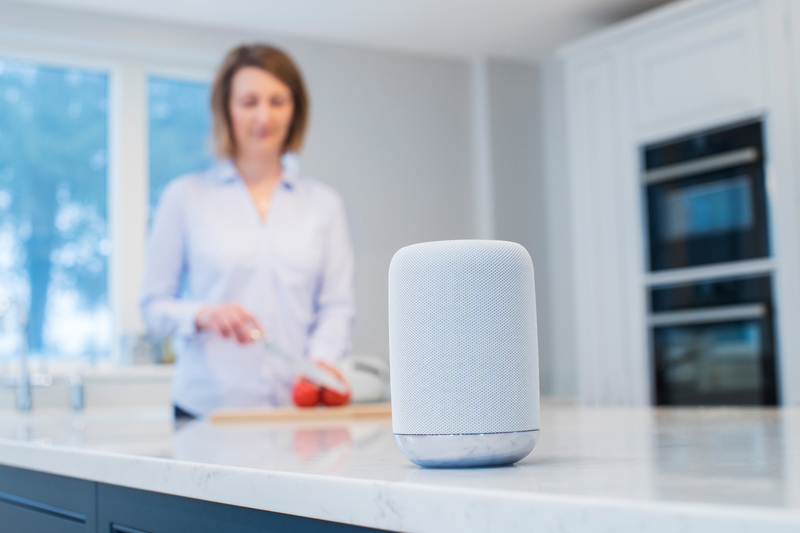 All you need to do is purchase and set up compatible smart items — such as outlets, lightbulbs, an entertainment system, and appliances — and suddenly your home will be a lot more intelligent. Amazon Echo, which uses the Alexa voice platform, enables users to play music, make calls, create shopping lists, and ask questions. The smart home component includes lights, thermostats, garage doors, sprinklers, and appliances. No apps or special skills are required to set it up as your smart home hub. Like the Echo, Google Home performs a wide variety of functions including smart home control. Using your voice, you can have it turn lights or appliances on or off, lock doors, or change the temperature. Google Home works with more than 1,000 smart home devices from more than 150 brands. Because the costs of all these items can add up, you’ll want to think about what’s most important to you. Want to save money on your electric bill? Get smart lights that turn off and thermostats that turn down when everyone leaves the house for the day. Concerned about security? Check out smart locks, cameras, and floodlights. A reliable smart home experience needs a fast and dependable Internet connection. You will get full enjoyment from your devices by connecting your home to Alliance Internet because it runs over a lightning-fast fiber-optic network.